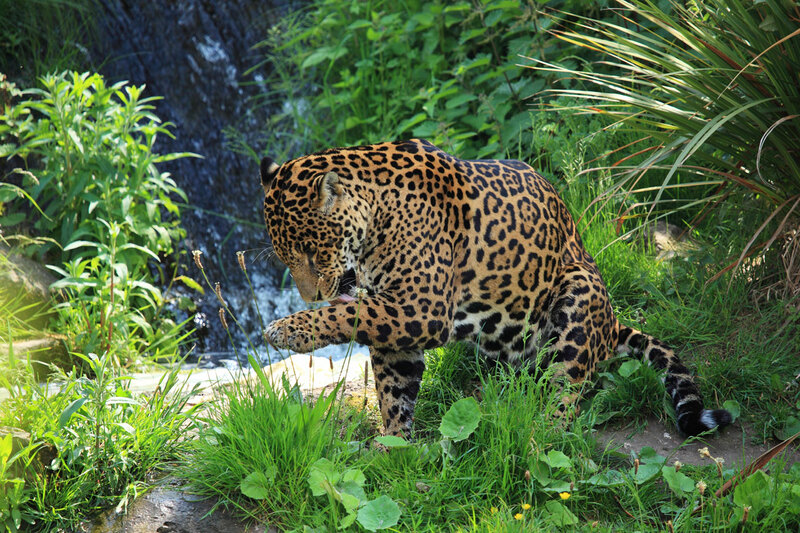 Do our attitudes towards creatures like jaguars really determine how we will act towards them? Wild Jaguar by Petr Kratochvil. Public Domain. I have come across many studies that assessed participants’ attitudes towards big cats (Hazzah, 2006; Porfirio, Sarmento, Leal, & Fonseca, 2016; Zimmermann, Walpole, & Leader-Williams, 2005). The assumption seems to be that knowing how people perceive big cats will make it easier to predict how they will act towards them. But is this true? In social psychology, attitudes are defined as the beliefs and feelings one holds towards an object or behavior; and the reactions brought about by those elements (Myers, 2008). At one point they were considered to be the cornerstone of social psychology (Myers, 2008; Wicker, 1969). It was thought that understanding an individual’s attitudes was the key to predicting their behavior (Myers, 2008; Wallace, Paulson, Lord, & Bond, Jr., 2005). There must have been a great deal of head-scratching, then, when several studies found little correlation between participants’ expressed attitudes and overt behavior (Myers, 2008; Wicker, 1969). Further head-scratching revealed that there is a relationship between attitudes and behaviors, but it is not straightforward. First of all, remember that how someone acts is partly determined by situational factors. This means that external forces sometimes prevent us from behaving in accordance with our expressed attitudes (Myers, 2008; Wallace et al., 2005). Another problem with early attitude studies is that they were measuring explicit, or spoken, attitudes. This is potentially problematic. For one thing, people often say what they think will make them look good: even if this contradicts their actual beliefs (Ajzen & Dasgupta, 2015; Myers, 2008). It is also easy for individuals to be unaware of their implicit (automatic) feelings towards an object or behavior. These hidden attitudes can have a powerful impact on one’s actions (Ajzen & Dasgupta, 2015). Lastly, early studies often contained mismatches between the specificity of measured attitudes and the expected behaviors (Ajzen & Fishbein, 1977; Myers, 2008; Wallace et al., 2005). For instance, general attitudes towards the environment are poor predictors of recycling. But specific beliefs about recycling correspond to related actions quite well (Schultz, Oskamp, & Mainieri, 1995). A good example of the specificity principle comes from Marchini and Macdonald (2012). 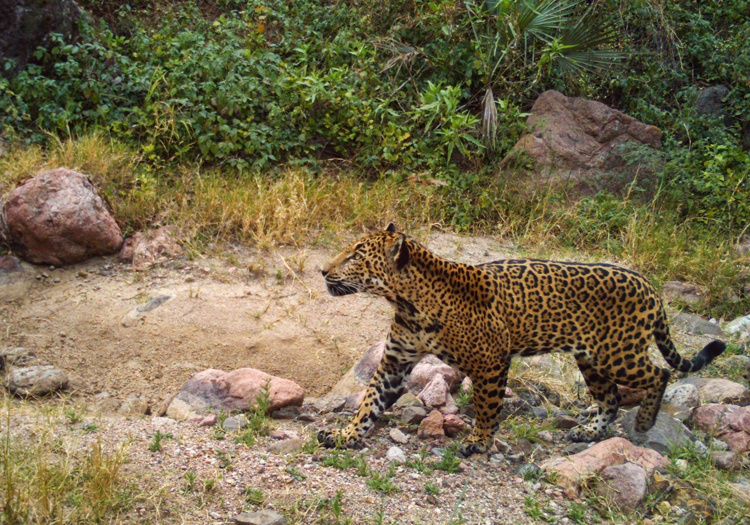 Instead of measuring ranchers’ general attitudes towards jaguars, they assessed their attitudes towards killing jaguars. Osman at Dubaral, November 2014. Image (c) Northern Jaguar Project and reproduced from www.northernjaguarproject.org. If the above findings are taken into account, attitudes can help predict behavior. One useful tool is the Implicit Association Test (IAT). The IAT measures response times to various pairings of words (e.g. “jaguar” and “good” vs “jaguar” and “bad”) to determine participants’ implicit attitudes. The IAT has proven to be an accurate predictor of specific inter-group behaviors (McConnell & Leibold, 2001), although I am unaware of any studies applying it to large carnivore conservation. 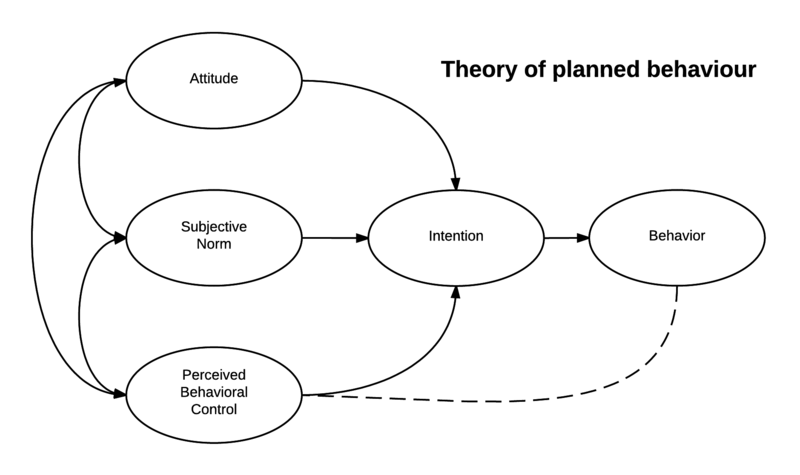 Another option is to use the Theory of Planned Behavior (TPB) (Ajzen, 1985), which provides a framework for considering how attitudes interact with other forces. It combines attitudes towards a behavior, social norms concerning that behavior, and the perceived level of control over that behavior to determine one’s intentions to perform it (Ajzen & Madden, 1986). There is considerable empirical data to support the TPB (Ajzen, 2014; Wallace et al., 2005). Importantly, multiple studies have successfully applied the TPB to conservation-related domains (Bamberg, Rees, & Seebauer, 2015; Fielding, Terry, Masser, & Hogg, 2008; Marchini & Macdonald, 2012; Mastrangelo, Gavin, Laterra, Linklater, & Milfont, 2014). If measured carefully, determining participants’ attitudes can help predict behaviors relevant to conservation. Researchers must take care to assess attitudes that match expected behaviors in levels of specificity, and they should account for situational factors through frameworks like the TPB. They might also do well to add measures of social identity to the TPB model, as this has been found to increase its predictive power (Bamberg et al., 2015; Fielding et al., 2008; Marchini & Macdonald, 2012). In addition, it may prove useful to find ways to reliably measure implicit attitudes in remote locations. Finally, it might be possible for conservationists to work backwards in the attitude-behavior chain. That is, instead of attempting to change behaviors by altering attitudes, they could edit attitudes by changing behaviors. I will explore this more in a future post. Overview of the Implicit Association Test from Project Implicit. You can take several IATs here. Pingback: Do Attitudes Predict Behaviors? 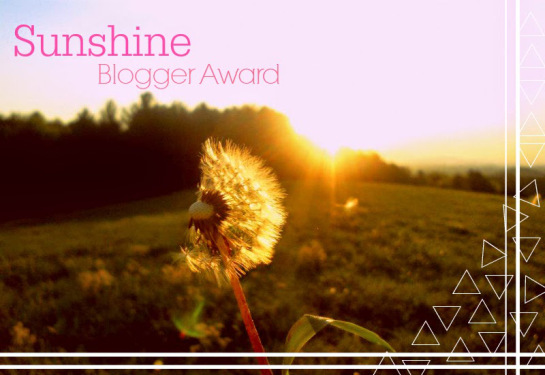 | Blogger's World! Thank you Nia! 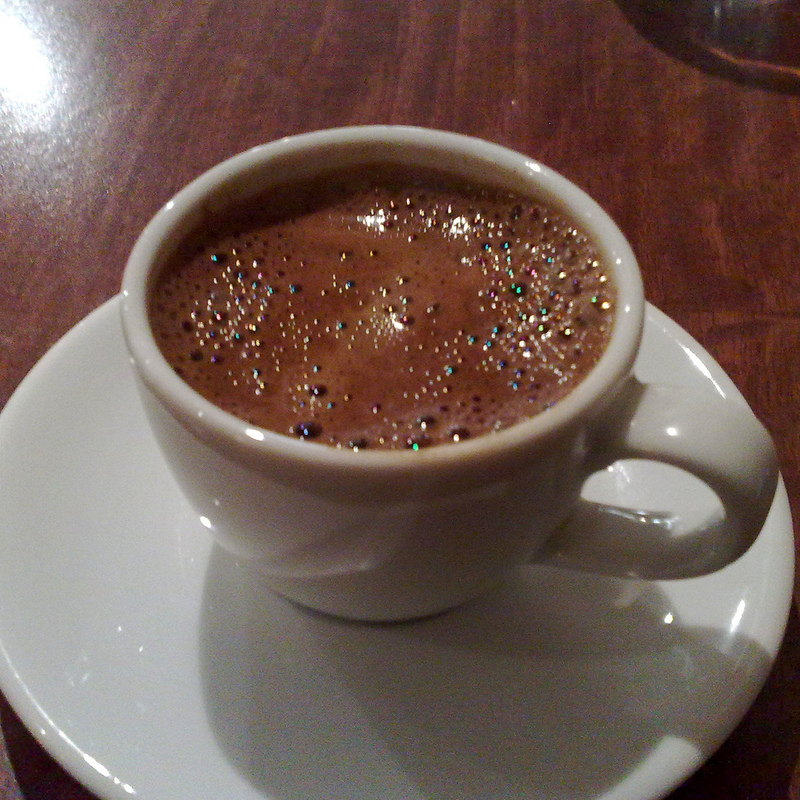 I love Turkish coffee too, but can’t drink too much of it. It uses a lot of coffee beans per cup, and when I consume too much caffeine it messes up my sleep. So you see, our behavior is caused by more than just our attitudes! This post is poignant, and it is also pertinent to the correlation and inter-related relationship between animals and humans. We tend to think things just happen, but their is always a causal factors why some things happen. I’m happy to know that research and studies are ongoing and scientists and others are willing to continue to examine behavioral patterns among the two. Its good to know even if may require re-examining some already established misconceptions. Thanks Yvonne! Yes, our ‘short-cut’ explanations of why things happen are often not entirely true. On the surface it may seem that our behaviors follow from our attitudes, but upon taking a closer look the relationship actually becomes more complex. That’s why it’s good to even examine claims that appear to be based on common sense, because there may be more going on than meets the surface. I find we tend to share our perspective based on limited experience and knowledge, yet, promote our perspectives by projecting them broadly. I wrote a post about our eyes adapting to the level of its deficiency. This is something I picked up from Iylana VanZant. The essence of it is we tend to adapt to our limitations. Our perspectives are defected, and we don’t know it. She uses the analogy of an eye exam. We walk around thinking we can see, but we have adapted to what we can see. The same thing goes with understanding. Very true, Yvonne, very true. Sorry for the typos, I was caught up in trying to get my point across. Interesting study Josh, and informative as always. You’re doing a sterling job! I skimmed this post, but I must say that my attitude isn’t always determinate of whether I will do something or not. For example, I may not want to go to work because I am tired of people, but I always end up going anyway because I need money. So no, attitude doesn’t necessarily determine what I do, but it determines HOW I do something. That’s pretty much the gist of the post. Attitudes were once thought to be the holy grail of social psychology: probably an unfortunate side effect of the, “I think, therefore I am” mentality (by-the-way, the whole concept of conscious thought is now being debated). But now it’s well established that attitude is on one of the many factors influencing our behavior. So merely measuring attitudes, without using some sort of widely accepted theoretical framework that considers how attitudes influence behavior, may not be the most helpful line of research. Unless of course you’re just doing reconnaissance research to begin compiling data on a group of people; or you’re genuinely curious about how someone views an object/behavior. Yeah. There are so many external factors that go into the motivation of behavior. For example, it could have been taught regardless of attitude. Mind over Matter is important, but there is only so much matter can do. I’d even go so far as to say the mind or matter distinction is irrelevant, since they both influence each other. How we think/feel can affect what we do, and what we do can alter how we think/feel. More on this soon. 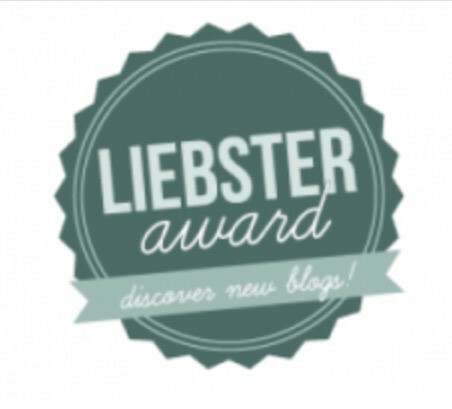 All in due time :) Right now I’m still gathering information on the topic. Very interesting thoughts. I have given little thought to the power of our attitudes and the influence on behavior. Thanks for bringing this to my attention, It actually explains a lot in my observations of people. Thanks Maggie! That’s one of the things I like about psychology: learning about it helps to make sense of others’ (and our own) behavior. Attitudes sometimes predict behaviors in humans, but not always. There’s more information in the above post. Breath taking photos! So beautiful. I agree! I’m glad there are so many photographers who make such high-quality shots available to the public.